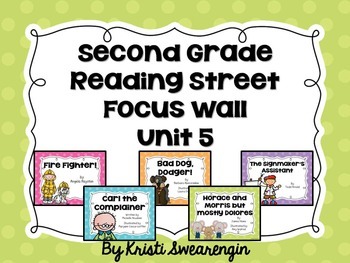 Bright and colorful focus wall posters for all the stories in Unit 5 of Scott Foresman's Second Grade Reading Street. Coordinating headers are available for FREE in my store! Please view the preview to see an example of what is included for each story.